1. Introducing a New Look for Company Pages (LinkedIn Blog) - LinkedIn has been revamping design and features across the platform all year long. First the personal pages, and now it's time for the company pages. Larger and more prominent pictures, targeted status updates, and more prominent navigation for company products and services are just a few of the updates. 4. 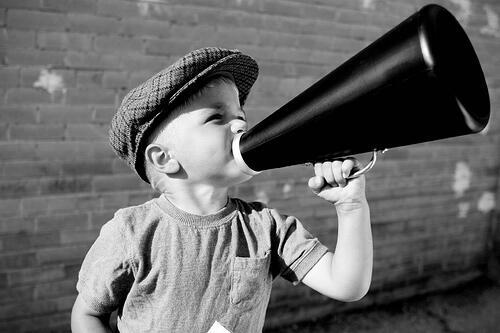 Does the Word 'Free' Affect Email Deliverability & Click-Through Rates? [A/B Test] (HubSpot) - A recent study by HubSpot tested the use of the word 'free' in email subject headlines and the deliverabiltiy and click-through rates of an email with and without 'free.' The results? The word 'free' on its own will not hurt your emails' deliverability, however it may not be the most effective term for your audience either. 5. 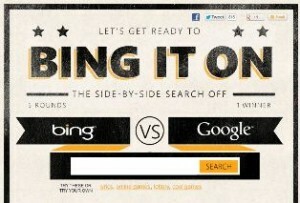 Search Engine Smackdown: Bing Invites You to Bing It On! (Marketing Pilgrim) - Google search engine competitor, Bing.com, invites you to a blind search engine study where Bing will pull results for your search term on both Bing and Google. Bing claims they win 2:1. If you liked this blog post, you should share it. If you really liked you’ll probably like the information our whole team publishes—you should subscribe. You can also subscribe too to our Lynton Webzine, a collection of articles from among the best sites in web marketing and design. And if you really, really, liked it, then you will like engaging with the likeable, knowledgeable, loveable bunch at Lynton through our social networks.